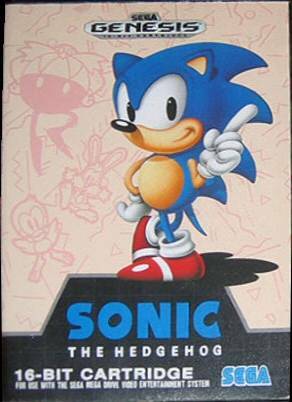 The first Sonic game. 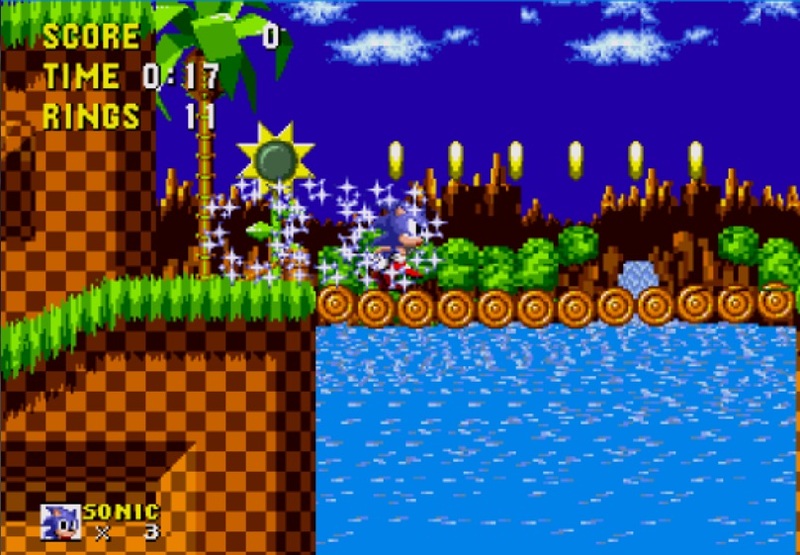 Sonic the Hedgehog was designed as THE competitor to Mario, and for the Genesis era, it was. 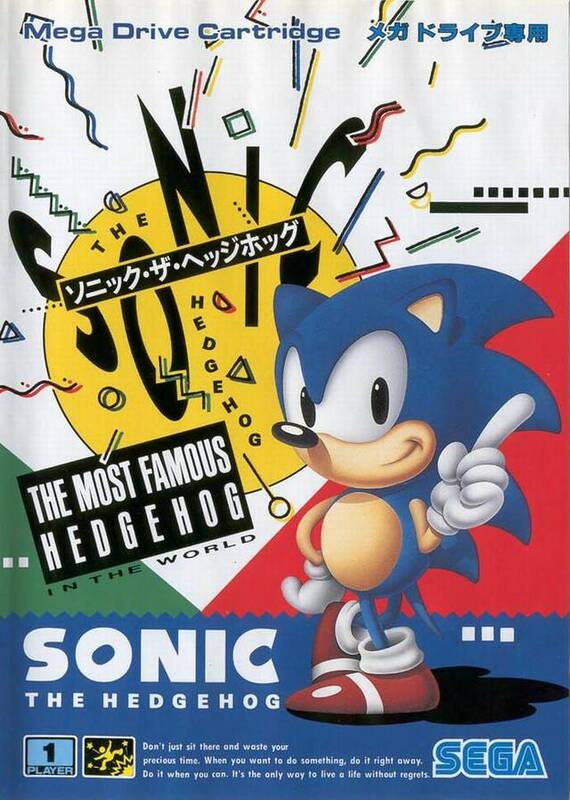 The USA version was released three days before the Japanese version, on June 23, 1991. A very fun game, it doesn't have the spindash though. Do NOT play the crappy GBA port. 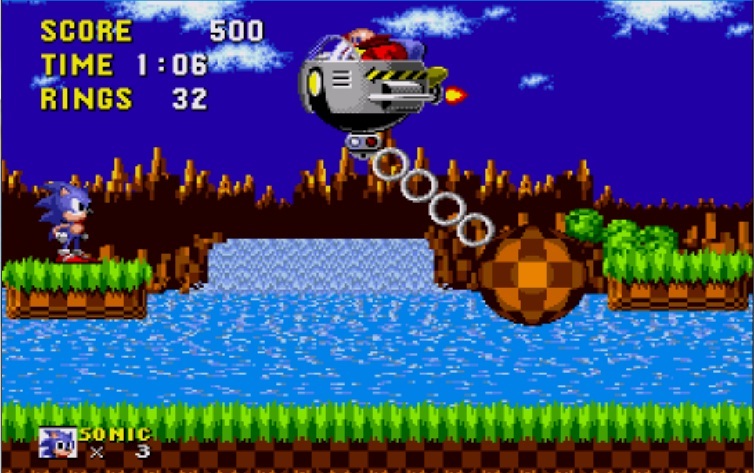 Enjoy Sonic's first adventure to defeat Dr. Robotnik! 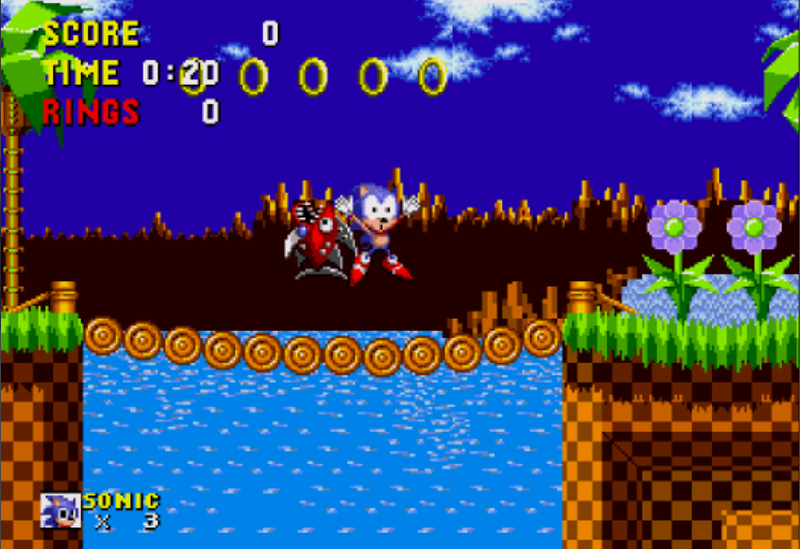 Segas most treasured mascot Sonic the Hedgehog is a fast pace side scroller with many awesome worlds and a great story. You play as Sonic, the fastest thing on "earth" your mission is to stop Dr. Eggman. It is a great game and a must have for Genesis console holders. I own all the Sonic games for my Genesis and they are all so much freaking FUN! 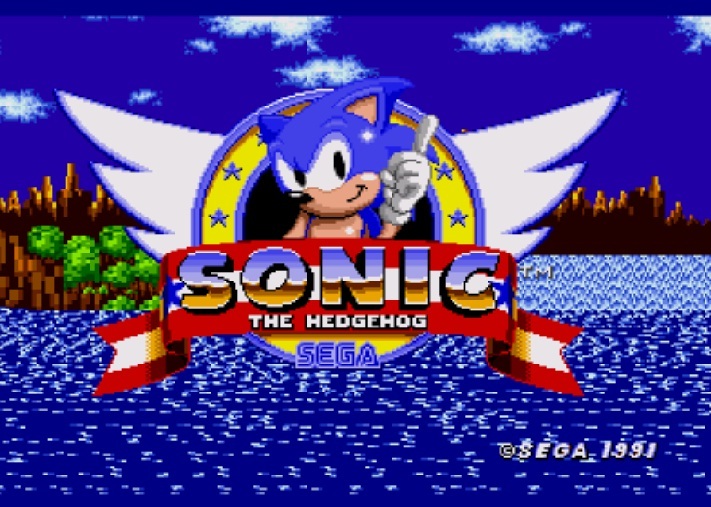 Sonic the Hedgehog (USA, Europe) is a game that was developed and published by Sega. 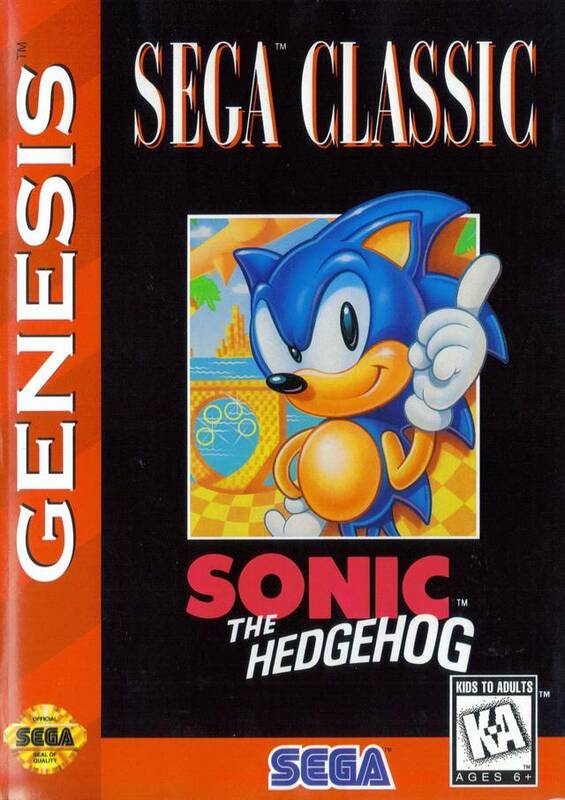 This game features Sonic the Hedgehog (looking forward to defeat Dr. Robotnik) exploring the beautiful stages and saving animals from robots. 2. To replace Alex Kidd as SEGA's mascot. The game has 6 Zones and a finale Zone, with a total of 18 "Acts" in the first 6 Zones. 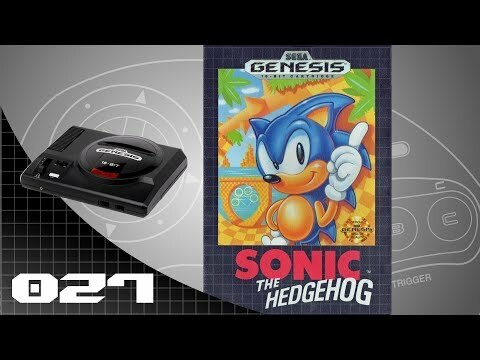 Sonic the Hedgehog has been the centre (before you complain at my spelling I'm British) of most SEGA Mega Drive/Genesis hacks, along with many Mario games. As a big fan, I'm even making a small hack myself. The concept of the game being about speed is having to play world 1-1 of Super Mario Bros. all the time, since the game lacks a save feature. This is a great game, although it's very hard. Read all 6 reviews for Sonic the Hedgehog (USA, Europe) Submit your description for this title!